“It’s a lot more satisfying to watch the sales come in than it is to say – ‘Hey, I did it the way I wanted it to be’ – at the end of the day,” said Chris Haddad – Direct Response Copywriter and Strategic Marketing Consultant, at the Zentrepreneur Elite Mastermind in Dominican Republic. 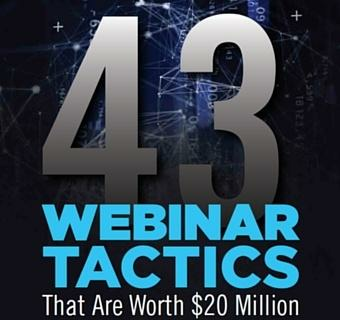 Having written hundreds of successful and high-converting copy in the past decade, Chris has developed two things to help him get through writing (often times) a 20-page salesletter – quickly. Ready to be part of a private mastermind community that connects entrepreneurs with ambitious dreams and companies that impact humanity and constantly innovates on their businesses? Find out more about Zentrepreneur, Mindvalley’s entrepreneurship and career tribe at Zentrepreneur.com. My name is Michelle Terri. lives Ireland i want to share to the world of a testimony of how my family was restored back,my husband and i was divorced for the past three years and left with me three kids, ever since then i have been finding it hard to survive with my kids, which involves my kids not able to continue their education,so i read of a testimony of how a separated family was brought back together as a happy family with the help of a spell caster. so with that i had it in my mind if only her family is back then mine will be a thing of the past, then i had to contact the spell caster whose name is DR IGBA, of igbaspellhome@yahoo.com who told me never to worry and told me that my husband will come begging me for forgiveness in the next 48hours. behold 48hours later i received a call from my husband asking me were i am staying which came to pass and did what exactly what DR IGBA has said. And now we are back together and my three kids are back in school.thanks to a great Dr IGBA right now I`m the most happiest woman on earth and me and my husband is living a happy life and our love is now stronger than how it were even before our break up.All thanks goes to DR IGBA for the excessive work that he has done for me by helping me to get back with my husband. I would like to drop DR IGBA mail address and hope you see this testimony and contact him if you have a lover that you really want back so badly, His mail:( igbaspellhome@yahoo.com )call or him WHATS-APP:+2347053728380. My love life has changed for better since the interference of the most powerful spell caster on earth called DR.UZOYA in my relationship, My testimony today is in regard of the help that DR.UZOYA render me when my lover departed from me. My name is wayne joy from spain and it gives me joy today in writing this testimony as a way of showing my appreciation to DR.UZOYA and at the same time i am using this opportunity to advise those that are finding stress and pains in their relationship or marriages to contact DR.UZOYA who is the best spell caster in the world through these contact details via email: driraborspellcaster@gmail.com OR call +2348151098492 Because DR.UZOYA is the only one that can restore your marriage or relationship. My name is Andrew Allen from United States, I want to quickly tell the world that there is a real on line spell caster that is powerful and genuine, His name is DR ADODO, He helped me recently to reunite my relationship with my husband who left me, When i contacted DR ADODO he cast a love spell for me and my husband who said he doesn’t have anything to do with me again called me and started begging me. he is back now with so much love and caring. today i am glad to let you all know that this spell caster have the powers to bring lovers back. because i am now happy with my husband. To anyone who is reading this article and needs any help, DR. ADODO can also offer any types of help like Reuniting of marriage and relationship, Curing of all types of Diseases, Pregnancy Spell, and lot’s more. You can contact him Via this email Adodospelltemple@gmail.com or call him +2348156784928. website; http://adodospelltemple.wix.comadodospelltemple. I will promise that i can write the best of mine with these two things..
you know copywriter is a salesman with a typewriter. Does it mean that we, as a copywriter, have to be a salesman too? Should we do “street-selling” to be a great (not average one) copywriter? What’s your opinion guys? I only recently starting promoting Chris’s stuff, and I can tell you that his copy – written and video – converts! I resonate with thinking that people aren’t going to want to read or watch a long copy, but they must because more often than not they end up reading my long review right to the end, and his long sales copy and Voila! another sale happens. Great advice. to much value able advice, thanks. Very Valuable Advice. Thanks Chris!! !